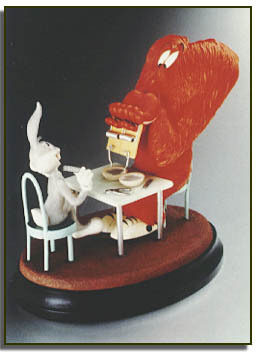 “Monsters lead such interesting lives…” says Bugs to Gossamer in one of the most requested scenes in Warner Bros. cartoons. This animated classic was directed by Chuck Jones in 1946. The edition features intricate metal and wood work to accent the fine porcelain.